These screen grabs were from Bill Kelly's forecast last night. 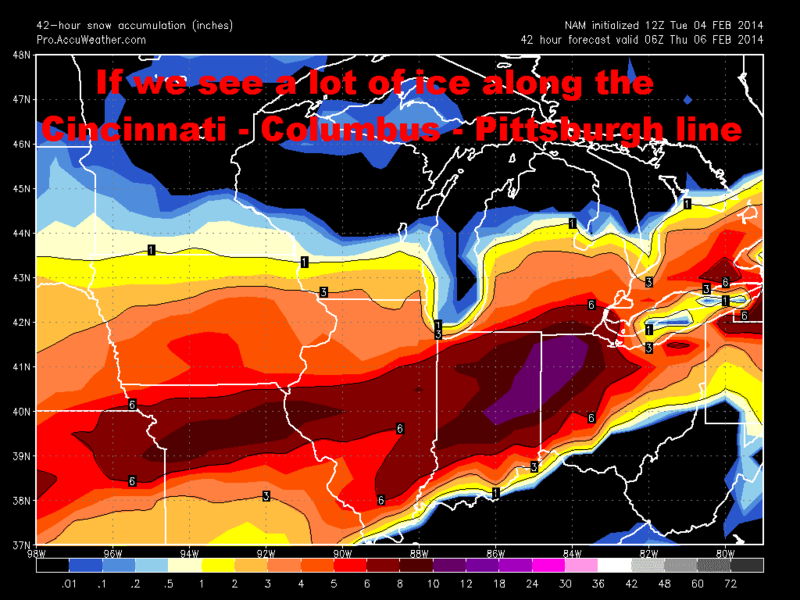 I think it is pretty close to on target, but the latest information pulls the ice line further North... meaning more ice along that Cincinnati-Columbus-Pittsburgh line I have been talking about for days. So here is the latest information... The ice line is right as projected. 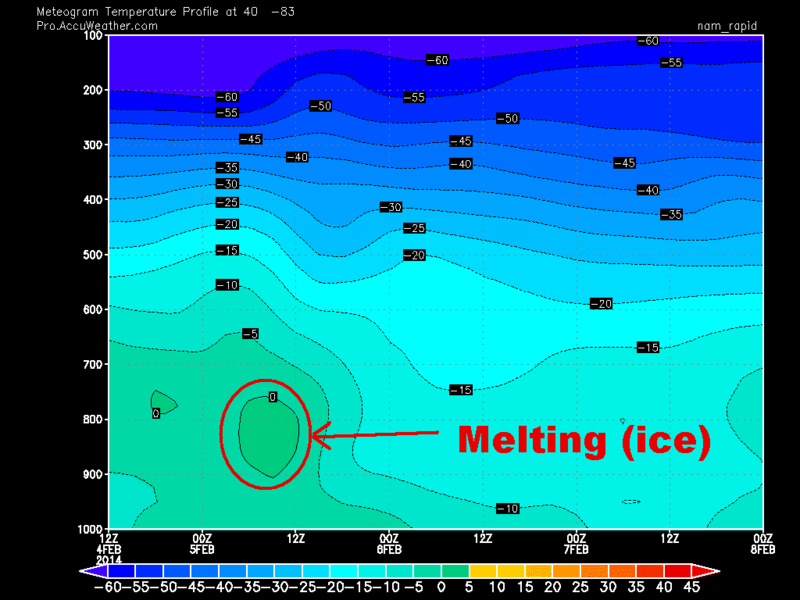 And some heavy ice according to the latest NAM model. For any non weather nerds... 0z is 7PM and 12z is 7AM on these graphs. (Greenwich time) So overnight tonight there is a warm pocket of air a few thousand feet into the air. THAT is why this forecast is so hard to do. Snow would fall into that warm pocket of air (and it looks that way for several hours for Columbus) and then the rain would fall back into the below freezing temperatures. 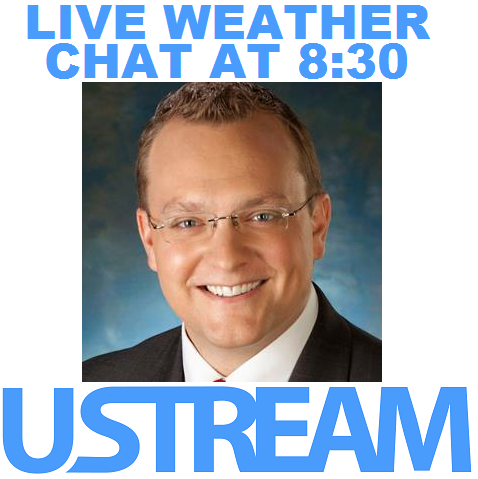 That will result in sleet and/or freezing rain. It depends on how far aloft the warm air is for your given location. So if we see this ice event... and the NAM shows a historic ice event... then the snow totals are GREATLY reduced across the Cincinnati-Columbus-Pittsburgh line and to the south. 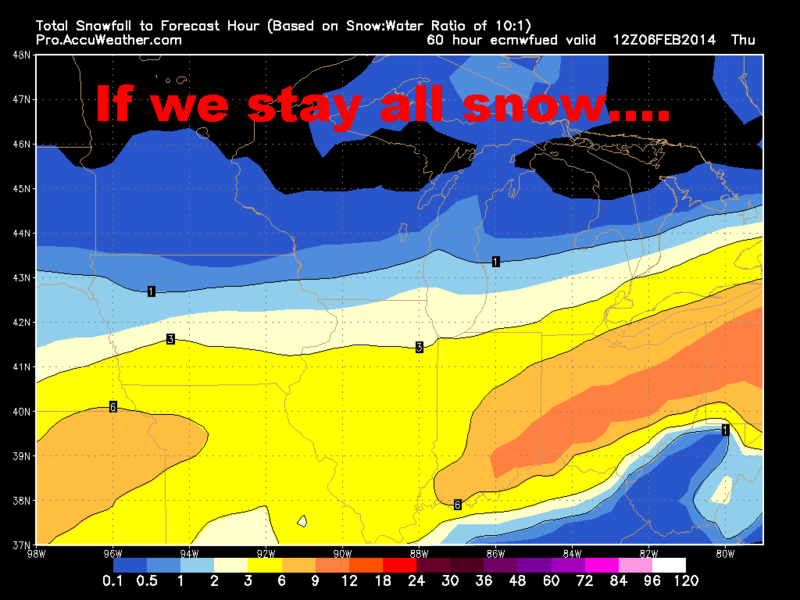 But for you snow lovers... the Euro is still staying all snow and has a LOT of it. 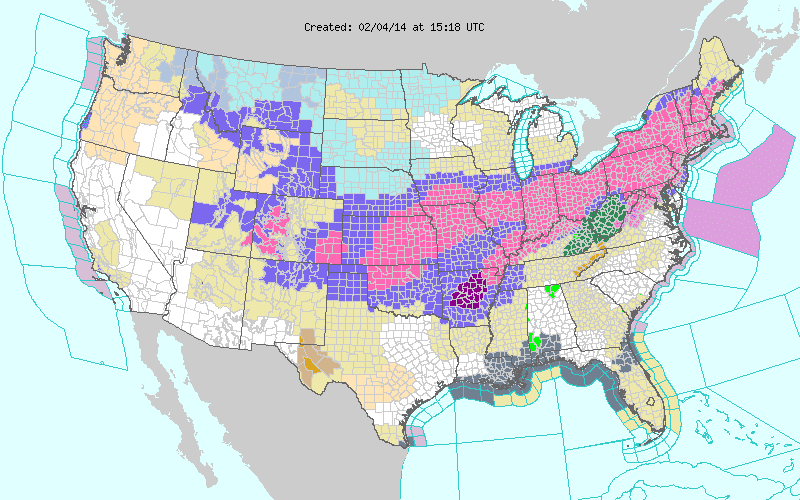 Really, it is going to come down to when it starts and monitor the radar and conditions. Timing... it will roll in around the evening commute tonight. It will pick up in intensity overnight and wrap up mid morning tomorrow. 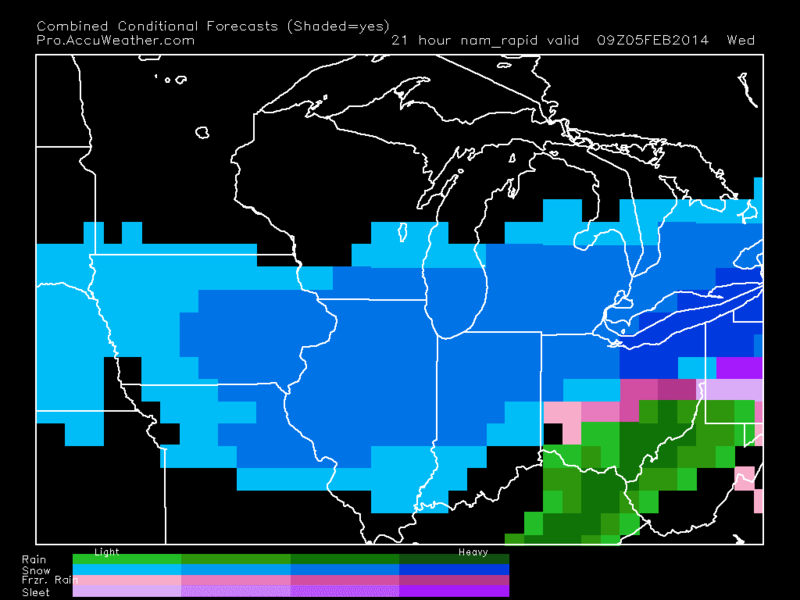 I still think that Northwestern Ohio will stay all snow. I still think that far Southeastern Ohio will mainly stay all rain followed by some light snow early Wednesday. Central Ohio will be the battleground between the two forces. As far as snow totals... IF you stay all snow then 5-9+" are likely... again IF you stay all snow. Across Central Ohio... some places could potentially see see up to 0.5" of ice followed by a few inches of snow (More NW and less SE). Regardless... roads will be a mess Wednesday, that I can assure you. No matter if you see the ice or snow, it will be a mess. So pick out which Star Wars movie you want to watch tomorrow (that's what I did on a snow day) and have a good one!